This Spanish language video is about a 22 March 2018 strike by Amazon.com workers in San Fernando de Henares near Madrid in Spain. Behind great wealth there are great social crimes. Bezos has made his billions through the ruthless exploitation of the Amazon workforce, which has more than doubled in size since 2015, when Bezos’s wealth was $60 billion. Amazon has hired roughly 300,000 new workers since 2015, allowing Bezos to pocket the surplus labor value of a veritable army of the exploited. Amazon has gained a competitive edge by introducing 21st century methods to squeeze every last drop of sweat from its workers, who wear monitoring devices that measure how hard they are working and are forced to walk or run up to 14 miles per day. Injuries are common, and deaths and suicides also take place with regularity. The National Council for Occupational Safety found Amazon among the most dangerous workplaces in the US. In June, an undisclosed number of Amazon employees published a letter demanding the company halt its involvement in mass deportation and police surveillance. “This will be another powerful tool for the surveillance state, and ultimately serve to harm the most marginalized”, the letter reads, citing IBM’s involvement in providing Hitler with the infrastructure used to murder millions in concentration camps. This year has also seen the development of a series of strikes at Amazon facilities worldwide. 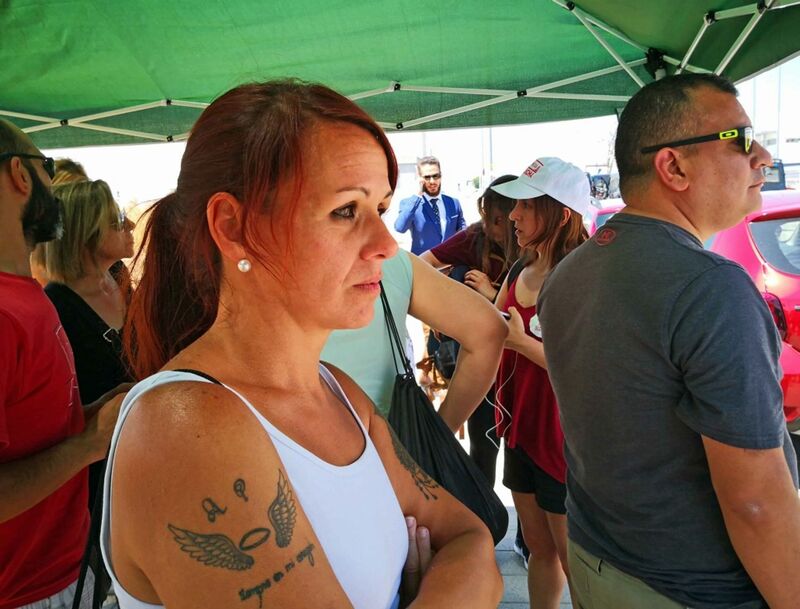 In Spain, Poland and Germany, workers’ anger over low wages, “permanent temporary” work, and brutal working conditions is near universal, forcing the trade unions to call limited protest strikes to coincide with “Prime Day”—a 36-hour sale period from July 16 to 17. Neither Bezos nor the capitalist class will give up their wealth without a fight. The working class must prepare for the coming class battles ahead by joining the fight for socialism. 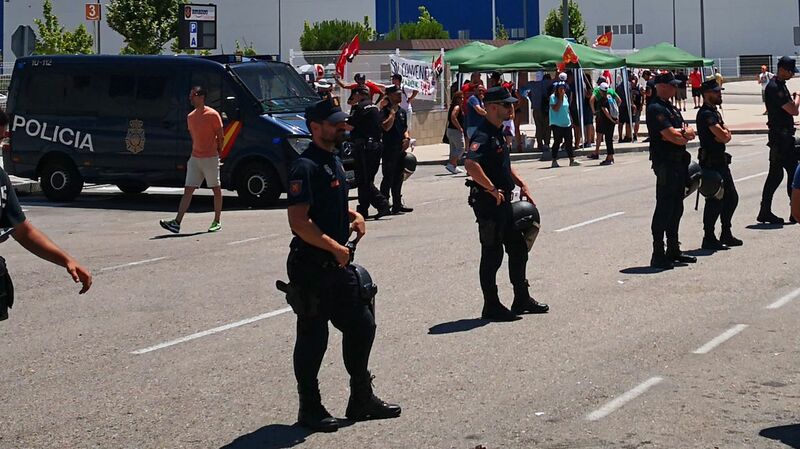 Police charged a picket line and beat Amazon workers during the second day of a three-day strike at the company’s largest logistics centre in Spain at San Fernando de Henares, Madrid. The strike was timed to coincide with Amazon’s “Prime Day”, and took place as thousands of workers in Germany and Poland also struck the company. Until the police attack, the Amazon workers and their supporters had been peacefully picketing, under the broiling sun at the main entrance to “MAD4”, as police escorted trucks and scabs into the centre. According to strikers, the police “without apparent reason”, beat them up with truncheons, which led to one suffering “an open wound on the face caused by a blow from a policeman.” Three others were arrested and taken away to police stations. The Amazon workers have been involved in a long running dispute, since 2016. 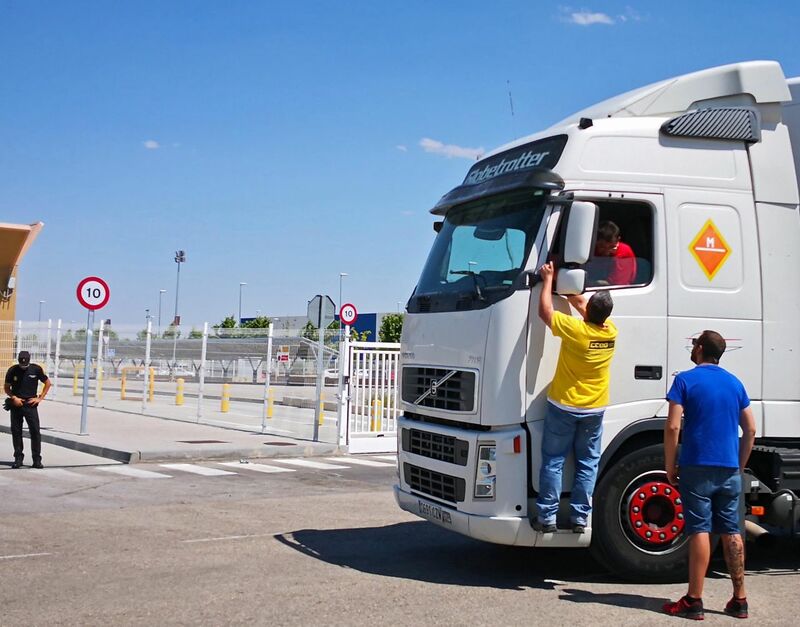 For nearly two years, Amazon has been negotiating with the trade unions—CGT, CCOO, UGT and CSIT—to impose the Provincial Collective Agreement of Logistics and Packing of the Madrid Region, which would replace the previous warehouse agreement and drastically reduce workers’ rights. In contrast to the unions, the company has long prepared for this week’s strike. Fred Padje, operations director of Amazon Spain and Italy, warned before the March strike, ”We work with a network of 46 centres throughout the continent and with that we can cover the demand throughout Europe.” He boasted how they had managed to deactivate the protest at one of the company’s facilities in northern Italy during last year’s last Black Friday sale in what is popularly called ‘logistical plumbing”—by increasing the workload at the company’s plant in Barcelona. Many workers mentioned that the police were more aggressive in clearing the entrance to the Amazon site and that in the previous strike in March they allowed people to come closer. It is an indication that Amazon asked for and got closer cooperation from the Spanish government and police. The police violence was also a sign of pressure from higher-ups to crack down on the pickets and tilt the media narrative against the workers.